On completion of the International Monetary Fund (IMF) Standby Arrangement (SBA) of US$2.6 billion next month, Sri Lanka will start negotiations with the IMF for another US$500 million Security Arrangement (SA), International Monetary Cooperation Senior Minister Sarath Amunugama said yesterday. Dr. Amunugama said several other borrowers like Spain, Portugal, Greece and Maldives had ended midway their SBA with the IMF because of the difficulty in carrying out policies with regard to the global financial crisis. He said on the completion of the SBA, discussions would be held to obtain US$500 million as a Security Arrangement with the IMF to enable Sri Lanka to access funds in case of emergency needs. Dr. Amunugama said Sri Lanka was on the right path with regard to its economy. He said its financial and economic management was under control and was well on its way to achieving the target of 7.2 per cent GDP for this year. 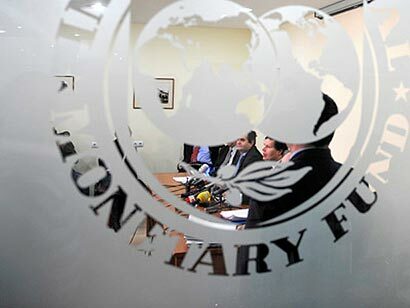 There is no doubt that the IMF will respond positively to Sri Lanka’s request for a Security Arrangement of US$500 million to improve the country’s foreign reserves and face with confidence any possible global economic or financial upheaval. “What is most important is that Sri Lanka has never defaulted on its repayment obligations and is reputed to be a country that fulfills it loan agreements with international donor agencies,” Dr. Amunugama said. He said an IMF officials are due in Sri Lanka next week to discuss the final tranche of the US$2.6 billion SB arrangement approved in 2010. Meanwhile, a Central Bank Economic Research Department spokesman said Sri Lanka had received about US$2.1 billion in eight instalments and IMF officials would arrive in Sri Lanka to review and negotiate the release of the final instalment of US$500 million. I wonder, if these guys in the government will mortgage my country fully that every citizen is paying today. And every bully whom ever got the country running from UNP to this government had done exactly the same ever since. There is a thing called credibility. I wonder what parameters the IMF use to estimiate Amunugama’s claim to credibility to lend another 500 million. in addition to the 2 point something billion already paid out. Balance of payments …..do we import more than what we import. Amunungama knows that there is a defeciet but he dare not say what the FE defeceit is and whether this defeciet can ever be reconciled. The rate we are going on this will never be bridged and our debt will continue to spiral and as we continue to pay more for imports there will be less to import.